It is suspected that the primary funder and instigator of the current protests can be found outside of the United States. Billionaire George Soros funds MoveOn.org and other far-left activist groups. In turn they are paying protesters to come out into the streets and providing professional signs, etc. 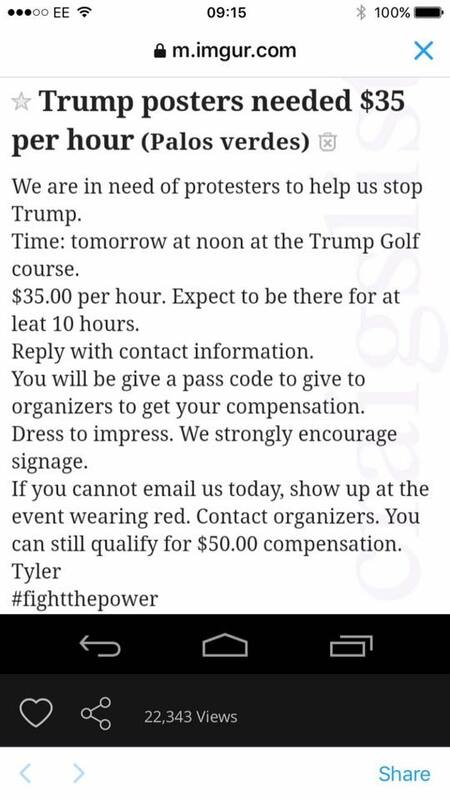 There is even evidence that left-wing organizations are posting on Craig’s List looking for protestors and offering money. These are the same crowds that were organized by far left anarchist, Communist, and socialist groups to show up at Occupy Wall Street events, Black Lives Matter events, and now the anti-Trump protests. Certainly there are some college students and sincere liberals who join in the protests once they are happening, but these are not organic grass-roots protests. They are orchestrated to give the appearance of anger, lawlessness, and chaos knowing that this will be amplified by a sympathetic media covering every move. The undercover work of Project Veritas exposed democratic organizations planting agitators at Trump rallies to cause violence and then have the media blame this violence on Trump and his supporters. The same principle is in effect here. Notice how these paid and organized rent-a-mobs choose to gather so as to break the law: impeding traffic, causing safety hazards, looting stores, causing violence. They have no regard for the the lives or safety of citizens as they shut down interstates and bridges and access to hospitals. If you remember, New Jersey Governor Chris Christie was crucified by the media for “bridge-gate” since it caused many people who had emergencies not to be able to get help. Yet “bridge-gate” is now happening day after day with no call from the President or Mrs. Clinton for it to stop. Indeed both President and Mrs. Clinton are very magnanimous to Trump in the public eye. They can afford to be since, at the same time, their organizations are facilitating these riots in the streets. 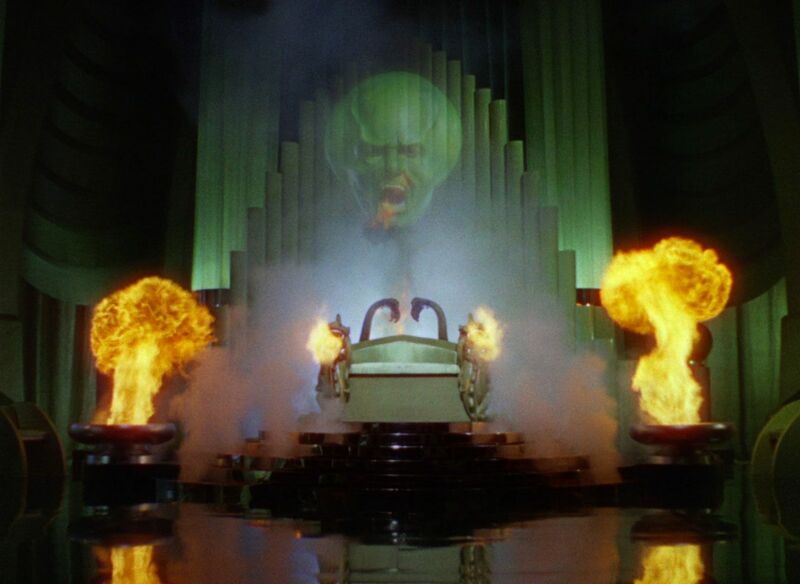 These “protests” and their wall to wall media coverage are similar to the Wizard of Oz using speakers, smoke, and video projection in order to intimidate any who would challenge him. In this case, the man behind the curtain is Soros. Wes shouldn’t literally walk towards these people, as any confrontation will only be used by the media to play into their narrative, but for President-Elect Trump and the rest of us to walk toward the fire in the sense of ignoring this charade for what it is and taking America back anyway, by doing, and helping him do, what he said he would do, no matter how much George Soros yells through an artificial megaphone. Sadly there is a great cost to this sort of propaganda. Many Trump supporters have been violently beaten by these mobs with little press coverage. On the other side, the press is reporting stories about people claiming to have been assaulted by Trump supporters that turn out to be fraudulent. In reality, this strategy will backfire as more and more Americans see the violence and hatred and are reinforced in their opinion that this nation was correct to choose Donald Trump as President so he can once again restore law and order. In contrast to the professional paid protesters: the socialists, anarchists, rent-a-mobbers, etc. there are a larger group of ordinary liberals who are genuinely fearful of a Trump presidency. Many of them fear that Donald Trump is a fascist, racist, sexist, homophobe who will begin a reign of terror and oppression over our country the likes of which we have never seen. All one has to do is see the over the top reactions of many of them on social media and YouTube to see for yourself. It may surprise you, but the reason these people are so upset is that they are victims. But not victims of racism, sexism, or homophobia as they have been lead to believe. No. Instead they are victims of believing and buying into a reality that their professors, teachers, newspapers, television news, NPR, the DNC and left wing websites have sold them. Instead of receiving our derision or anger, they instead deserve our pity. For these people head to college and high school, young and naive and they are indoctrinated with this false reality at almost all of our universities. They are immediately divided into groups based on their race, their gender, their sexuality, their socio-economic status. From the moment they go to school they are taught to see all of life through this prism of conflicting and competing groups. The media reinforces this narrative and big money donors such as Soros keep countless left-wing think tanks and organizations afloat to perpetuate these ideas and to give their academicians, who otherwise would have trouble finding a job, a rather nice living. But why do the education system and the media go through all the trouble to brainwash these poor kids and millions more adults who go through their system? The answer is power. This ideology can be used to capture votes and dependency. The leftist elites use these issues to create anger, division, fear, and hatred and then channel this emotional fuel into votes, money, and political action. In reality, the leftist elites could not care less about racism, sexism, homophobia, transgender bathrooms, or the poor. This was reinforced recently by WikiLeaks exposing the way these elites discuss minorities when they think nobody is looking. The way they live lavish lifestyles and then talk about the 1% at stump speeches. The way they impugn the victims of their own sexual abuse with the media’s help in order to avoid justice. Liberal elites and the Democrat machine only care about racism, sexism, homophobia, and the poor as tools or instruments to help them gain political and economic power. They do not care about these issues in and of themselves. Sure, many individuals rank and file liberals do care about these issues. But so do conservatives. In fact, almost all Americans are against racism and sexism. The vast majority of Americans are hard working and decent people and these divisions are not a part of their daily experience. 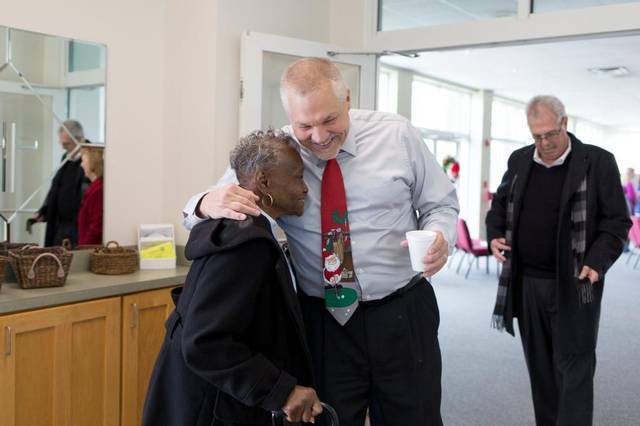 They greet one another, hold doors for one another, talk with one another, laugh with one another, and are civil with one another no matter what group the elites have divided them all into. This is the reality. But it is a reality the liberal elites cannot accept because if it were realized it would eliminate the fuel they need (hatred, division, resentment, envy, animosity) to motivate people to vote for and fund them. So, in order to keep the fires of division stoked, the liberal elites must create a false reality. They must create a false narrative of an America where whites hate blacks and latinos. Where men hate women. Where straight people hate homosexuals. Where the rich hate the poor. Because of this, the media is forced to keep their eyes peeled for any rare examples that run counter to reality. By the media hyper-focusing on rare examples of evil in order to enforce a narrative that it is widespread and deliberate, they stoke anger and fear in a targeted community whose votes are valuable to them. The solution, of course, is to vote for Democrats who will crack down on this heinous problem with new laws, focus groups, money, investigations, etc. In reality nothing will change, (just look at all major cities controlled by Democrats for decades) but pockets will be lined and offices will be won. The only thing that will change is that after the objective is achieved, the media will have magically stopped caring or covering such examples as their usefulness would have passed. In addition to giving the Democrat machine and liberal elites money and votes, their basket of deplorable “isms” are even better used to demonize those keeping them from power and money, i.e. their political opponents. Racism, sexism, homophobia are simply used as epithets to avoid actually debating anyone on the other side. After all, if you are a liberal elite, why bother trying to debate someone on the facts when you can simply call them names and discredit them. It saves a lot of time, money, and effort. Especially if you have the media on your side to perpetuate the lie. 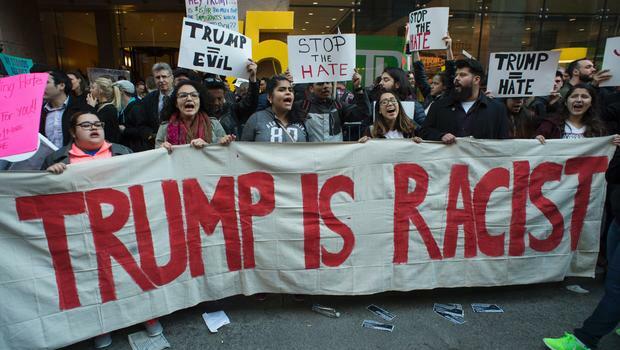 Never mind that the media’s liberal audience and the college students in class take these epithets seriously, and actually start to develop feelings of intense hatred and outrage toward the unjustly vilified people. This is how violence and discord are sown. Sadly these people live in their own bubble of false reality created by CNN, the New York Times, the Washington Post, and NPR where there are racists and sexists around every corner wishing to do them harm. 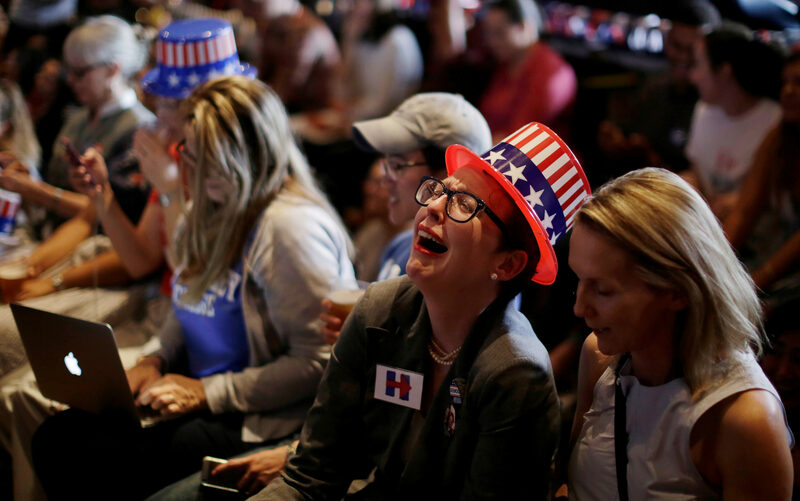 Until these people are broken out of their false reality of left-wing news media and universities, they will continue to overreact to events occurring in the real world that don’t line up with their altered expectations. It really is similar to a psychosis where one begins to lose touch with what is real and what is not. But, based on the philosophy these young people are taught in school, where reality is your own creation, where you can choose your gender and your race, can we really be surprised? This is horrible all the destruction that they have done. They are like animals . I certainly was not happy with Obama not once but twice, along with a lot of other people. We endured 8 YEARS of him. You didn’t see any of this C**P because we were unhappy. I didn’t get paid to protest today… Trump wants to ban all muslims, that is not very “catholic” like you claim to be. The Catholics fought the Crusades in order to liberate the Holy Land from the Muslims. Catholics also fought to the death to keep them from taking over Europe in the 1500’s. I suggest you learn your history.